The DVD for GOYA'S GHOSTS will be released in the UK (Region 2) on April 23, 2007. You can pre-order this item at Amazon.co.uk. For those living in the US, you'll have to wait until summer for the theatre release or convert this DVD to Region1 format. The Hollywood Reporter has announced that GOYA'S GHOSTS has been picked up for North American distribution by Samuel Goldwyn Films. The Saul Zaentz production is slated for a summer U.S. platform theatrical release. "Saul is not only a friend, but a wonderful filmmaker," said Samuel Goldwyn Films CEO Samuel Goldwyn Jr., who was shown the picture by Zaentz several months ago and finalized the deal last week. " 'Ghosts' is a love story and a violent political story and a wonderful woman's story about a fascinating period in history and the effect of the Inquisition's lives as seen through the eyes of Goya. I wish every film we had was as good as this." The deal was negotiated by president Meyer Gottlieb and vp acquisitions Peter Goldwyn on behalf of Samuel Goldwyn Films and by Al Bendich on behalf of the Saul Zaentz Co. 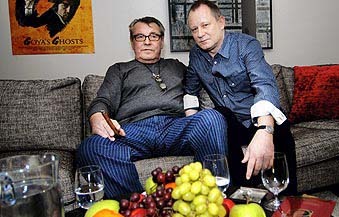 Here's a recent brief interview posted by Draken at the Göteborg International Film Festival as well as a few photos of Stellan and director Milos Forman. You can also listen to Stellan on Swedish radio at this link (yes, in Swedish). 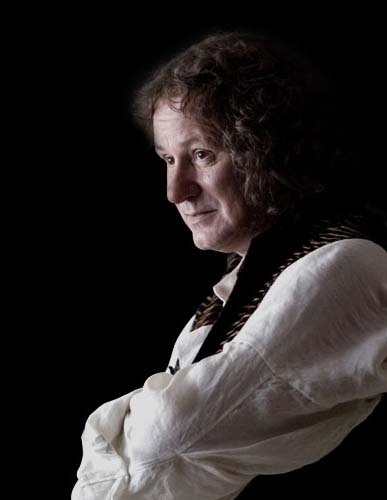 GOYA'S GHOSTS will premiere in Sweden on April 1. Since the film recently premiered in the Czech Republic, there have been several critiques of the film. I've posted an interesting one by Steffen Silvis of The Prague Post in which he faults the film for its lack of energy and magic. He also laments over the loss of good work from our master filmmakers. Radio Prague reported on the film's premiere last week. 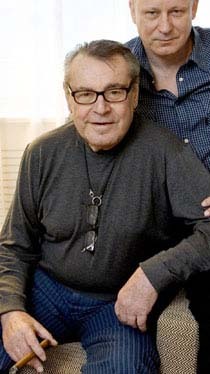 Journalist Jan Velinger writes, "To say that Milos Forman and his films are highly-regarded in the Czech Republic is something of an understatement: in short, he is a phenomenon, one of the best filmmakers this country ever produced, from early features like The Fireman's Ball to American productions like One Flew Over the Cuckoo's Nest. Goya's Ghosts, however, has not gone down well with a number of Czech reviewers and some have been downright scathing. Ondrej Stindl is a film critic for Tyden, a popular weekly newsmagazine: 'I would say that the basic problem of Goya's Ghosts is that it is basically unfocused trying to say too many things at once but none of it let's say properly or some sort of depth. It's kind of surprising given that Forman collaborated on the script with Jean-Claude Carriere, the European screenwriting superstar of the 60s, 70s, & 80s. Some scenes had potential, especially at the beginning, but the movie never follows up and kind of loses itself, sometimes in kind of a melodramatic mess that is at times cheap, sometimes shockingly so.' At its core, Goya's Ghosts tells the story of three characters: a monk in the Spanish Inquisition, a beautiful woman imprisoned by the Church, and Goya himself, whose lives intertwine with fatal consequences. By turns, all three struggle to keep their heads above water during turbulent events But while plot twists are many, they aren't always convincing. Mirka Spacilova - one of the country's best-known critics - put it diplomatically in her review for the Czech newspaper Mlada Fronta Dnes. To paraphrase her words: Forman remains a great director but Goya's Ghosts can't be considered a great film. Critic Ondrej Stindl again: 'I mean, the movie is quite well-cast but the actors do what the script allows them to do and that's not much.'" 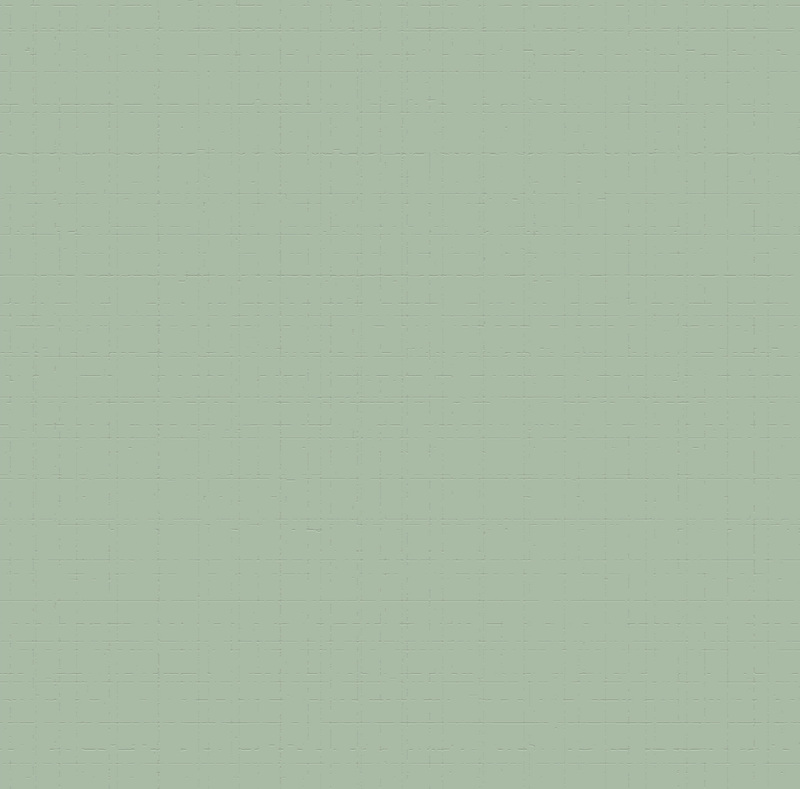 A bit of further information on Stellan's newest project, ARN. The film is being produced by Svensk's Waldemar Bergendal. Co-production partners are the Swedish regional film fund Film i Vast, web TV2 Norway, Germany's Telepool, and pubcasters SVT from Sweden, DR from Denmark and Yle from Finland. The Swedish Film Institute is also financing the project, which will be shot as two films for the local market, then edited into one feature for international sales. TV alert - The Independent Film Channel is showing MY SON, THE FANATIC this month. Check here for dates and times. 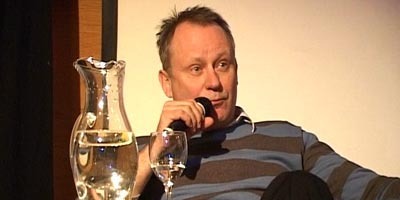 On January 30, Stellan conducted a Master Class at the Göteborg International Film Festival where he discussed several aspects of his acting experience. You can view clips from this workshop (spoken in English) at this link. I think fans will react quite favorably to his unique opinions and direct honesty about filmmaking. In giving advice to the audience, he says, "You should be aware of vanity and be really, really interested in human beings in life. At least to me it's important. When I see actors where I can feel their vanity when they're acting, it makes me throw up." 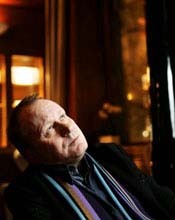 Included in the 11-minute video are discussions on his roles in Breaking the Waves and Goya's Ghosts. The latter film was screened over the past three evenings at the festival but I haven't read any articles on audience reaction as of yet. I assume the photos below were taken this past weekend when Goya's Ghosts was screened. According to Swedish publication Expressen, Stellan is satisfied with the new script for ARN and will take on a role in Sweden's largest film production. He has accepted the role of Birger Brosa, an uncle to Arn. Joakim Nätterqvist plays the main character and Sofia Helin, known from "Masjävlar" and Mario Blom's upcoming film "Nina Frisk", portrays Cecelia, the female lead character. Two films based on the Jan Guillou trilogy will be produced at a budget of 210 million crowns (roughly 30 million US dollars). 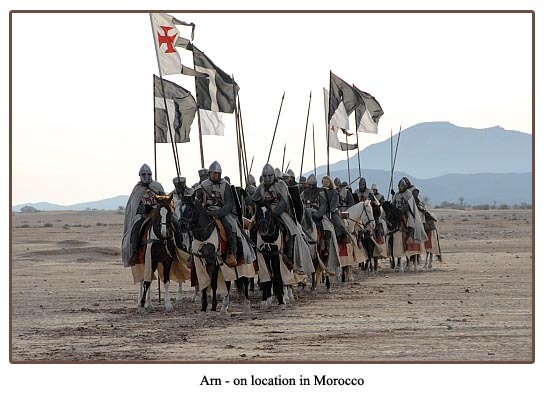 The film is currently shooting in Morocco but production will move to Sweden at the end of February at which time Stellan's scenes will be shot. The premiere is set for December 19, 2007 in Sweden. Later there will be a recut version that will air as a tv series on Swedish television. My thanks to Robin Solsjö Höglund for his translation of this great news!